The use of turmeric and its active constituents has been revered in ancient Ayurveda and traditional medicine for thousands of years for its amazing medicinal and therapeutic properties. 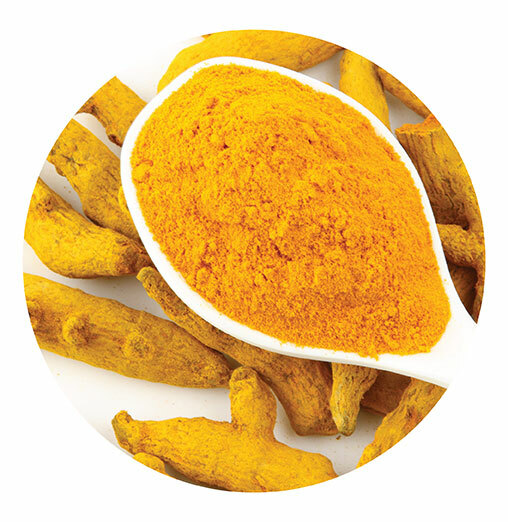 In modern science, researchers have isolated Curcumin and other biological constituents present in the turmeric rhizomes (Curcuma longa) for its potent anti-oxidant qualities and versatile biological activities. However, Curcumin is also known to possess poor natural bio-availability due to its reduced rate of absorption, poor bio-distribution, low solubility and rapid metabolic rate, which leads to most of it being expelled from the body before it reaches the targeted site. Aurea Biolabs has bridged the gap between traditional Ayurvedic knowledge and cutting-edge biochemistry by recreating the natural turmeric matrix with active curcuminoids (~50%), through our patent-pending Polar Non-polar Sandwiching Technology (PNS Technology) (Patent application number - E-1/11319/2015-CHE). The natural matrix of turmeric plays a significant role in increasing the bio-availability of Curcumin with the help of the active constituents in it. The bio-active molecules other than Curcumin also contribute to its increased stability and bio-availability. Hydrophilic molecules dissolve easily in the gastrointestinal tract but are poorly absorbed, whereas hydrophobic molecules do not dissolve easily but are more readily absorbed. Our advanced, proprietary Polar Non-polar Sandwiching Technology (PNS Technology) facilitates the interaction of Curcumin with proteins and lipids in the hydrophobic groups on these molecules, and encapsulates Curcumin in hydro-gels to improve its solubility and stability in aqueous systems. With the state-of-the-art Polar Non-polar Sandwiching Technology (PNS Technology), we have recreated the entire natural turmeric matrix through an advanced process – by isolating Curcumin (95% purity), and sandwiching it between the Polar (carbohydrates (~40%), dietary fiber (~5%) and proteins from turmeric rhizomes) & Non-polar (turmeric oil 2%) entities. The Curcumin molecules are well by hydrogen bonds to create a Polar-Non-polar entity that helps preserve it from rapid metabolism. The water-soluble protein, Turmerin (~2%), is far more efficient in crossing over into the body’s lipid bilayer membrane, and the Curcumin delivered is lipidic in nature. The presence of other bio-active molecules such as essential oils (Bisabolenes and Sesquiterpenes) plays a more important role in making Curcumin bio-available, rather than the Curcumin itself. PNS Technology can also be extended to any spice or herb to deliver the bio-active ingredient at the site for ensured biological activity. PNS Technology enables the active ingredients to reach and penetrate the cell membrane without any structural degradation, which improves its functional properties and stability of the ingredient. It also enhances its bio-availability and enables the controlled release of the specific molecule at the specific site.